Christopher Ruocchio’s debut novel and first of a new series owes a debt to the space opera classics. The opening of Empire of Silence feels cribbed from the opening of Frank Herbert’s all time classic Dune. A galaxy-wide human empire ruled by aristocratic houses, a young man chafing against his place and struggling to find his destiny, a powerful and sinister religious order, computer technology outlawed and replaced by human “computers”. But it also has echoes of other space operas from that age and earlier in which humanity has spread to the stars but in doing so has retained its classical roots. The society Ruocchio presents is a pastiche of high tech, Roman and medieval. 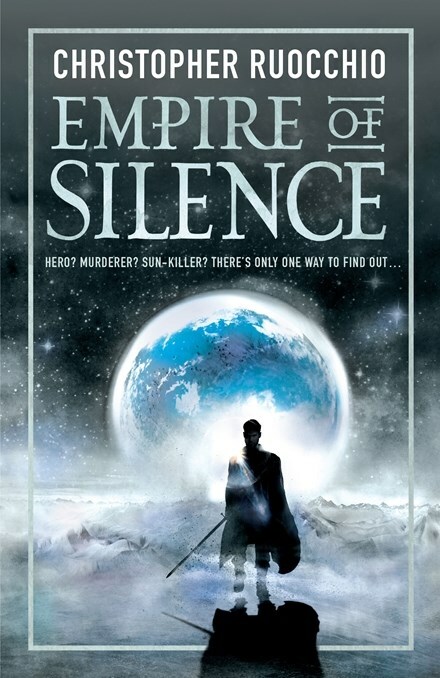 Empire of Silence picks up the pace a little when narrator Hadrian Marlowe goes on the run from the privilege of his family but is dumped on a backwater planet where he has to live by his wits. This middle section of the book morphs into a retelling of Gladiator as Hadrian gets work as cannon-fodder in the local colosseum and manages to train a rag tag group to survive. The book then switches again to become an exploration of ancient mysteries and finally attains some forward momentum when Hadrian encounters humanity’s enemy – the Ceiclin who ravage through human space. Empire of Silence is the first volume of a memoir. Hadrian narrates from an old age in which he has done some horrific things that are only hinted at. Characters who may well become important in his future life are flagged but most of them have little to do in this early part of his career. So that by its conclusion, Empire of Silence feels little more than a very lengthy prologue to what might become a more interesting tale.